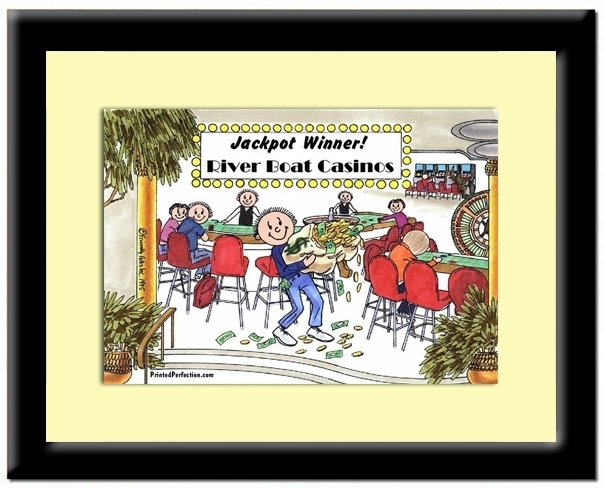 Personalized Friendly Folks caricature framed print, shipped fast! All text shown on this product is for sample representation only. We will personalize this item per your instructions. Please note that the price of your framed art is dependent on the size frame that you select. Whether you're shopping for your boss, family, a friend or even yourself, our framed Friendly Folks caricature scene is unique, and designed to last a lifetime. Select the scene of your choice to capture that special person's passion, family, job, sport or other important aspect of their life. Children and pets can be added to all of our Friendly Folks Cartoon scenes. If you would like to add extra characters please specify this in the “special instructions” field. Please make sure to include detail regarding the age and gender of children and/or the breed, coloring &/or size of any pets. 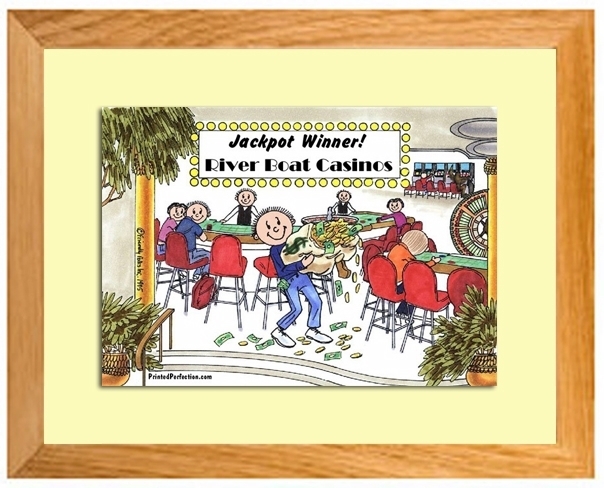 Personalize this caricature scene with any name and/or text - even a business logo, and then select the mat color and frame that matches the color scheme you are looking for. We offer two print sizes, along with a variety of mat colors and wooden frames. Our frames are solid wood with a glass inset, complete with both an easel back and a saw tooth hanger assembly - allowing you to display your framed art on a tabletop or wall. Please visit our information pages for better detail regarding our mat colors and frame sizing. Your personalized cartoon will be professionally printed and delivered (fully assembled) to you in a fitted white box, suitable for gift wrapping. This item is much more than a gift, it is also a meaningful keepsake that memorializes what you hold dear to your heart. *We make all efforts possible to remove mat and frame colors from the selection box when our stock becomes limited. However, at times we may need to use a substitute color. Should this occur we will contact you before releasing your order. Similarly, you might be looking for a color that is not in the drop down box. If you encounter this situation, please make a note in the "special instructions" area, and we will try to accommodate your request. If you are unsure which mat color you would like please select “any complimentary color” from the drop down menu, and we will select the mat that matches your Friendly Folks Cartoon the best.